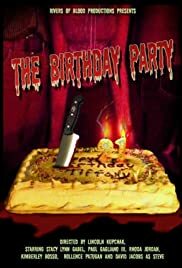 In this 12 minute short horror film, Tiffany (Stacy Gabel) is having her 21st birthday party. I don't know if it's a result of being filmed in only 48 hours. but this is WAY too talky for a horror short. Which would have been fine if the acting was tolerable, or had the story been interesting in the least, or even the ending 'twist' been surprising in the least. Sadly this short passed none of these requirements. Sorry, Mr. Kupchak, but this outing leaves your viewings wanting. And as I have yet to see any of your other shorts, I really truly hope that they're miles above this one.